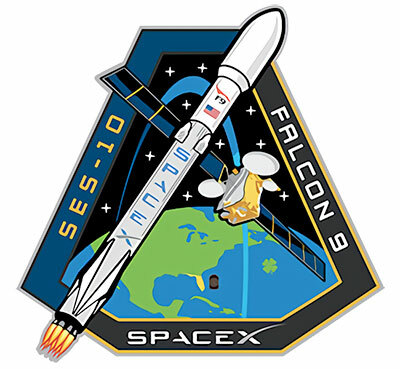 Earlier this evening (September 28, 2008), SpaceX made history when its Falcon 1 became the first privately-developed, liquid-fueled launch vehicle to reach orbit. 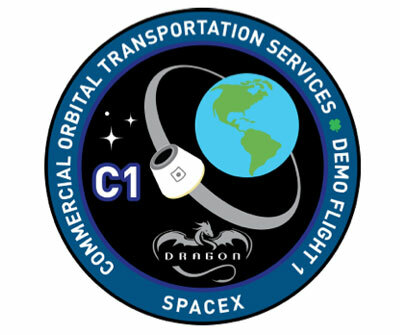 These emblems certainly have a different character than NASA-type patches. However, I can't describe how they are different. 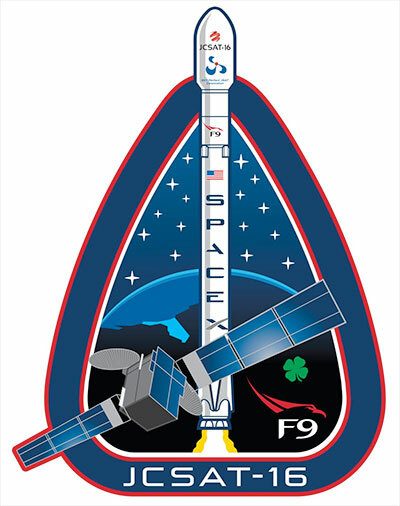 Anybody, perhaps an artist, have any ideas what it is? 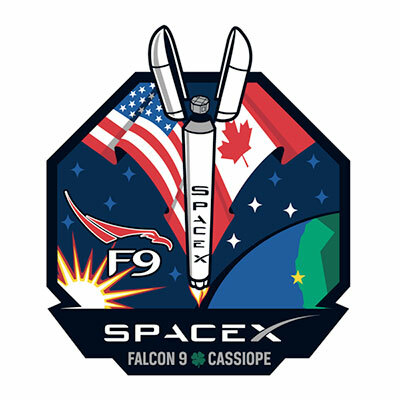 Here is SpaceX's insignia for its first Falcon 9 launch from Vandenberg Air Force Base, Calif., with the Canadian Space Agency's CASSIOPE satellite. 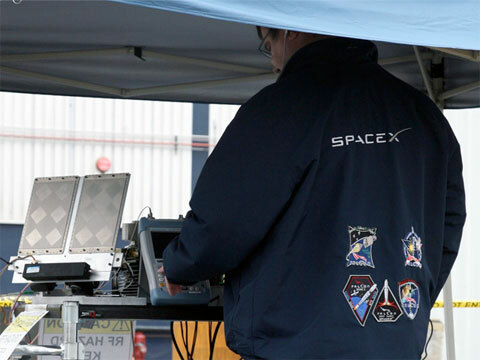 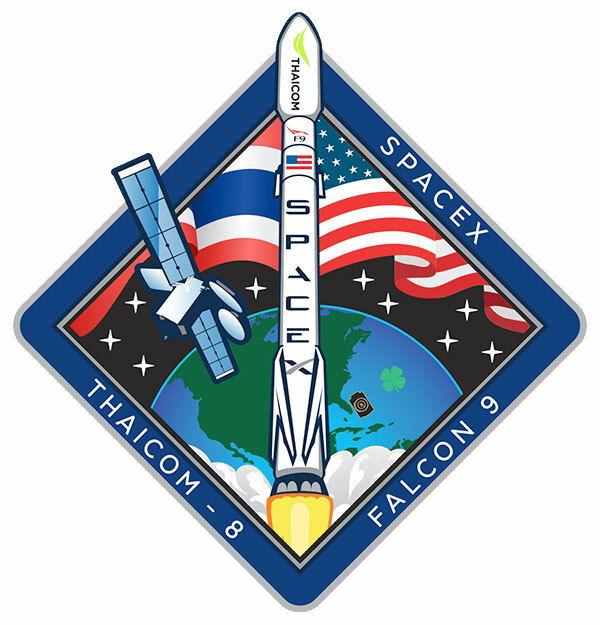 Here is SpaceX's insignia for its first Falcon 9 launch of 2014, set to liftoff from Cape Canaveral Air Force Station with the Thaicom 6 communications satellite. 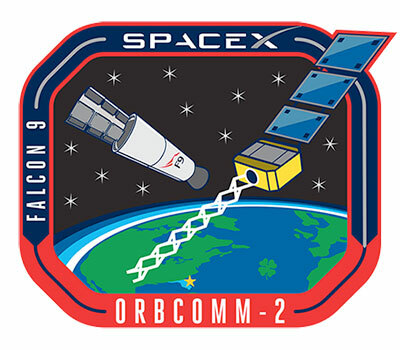 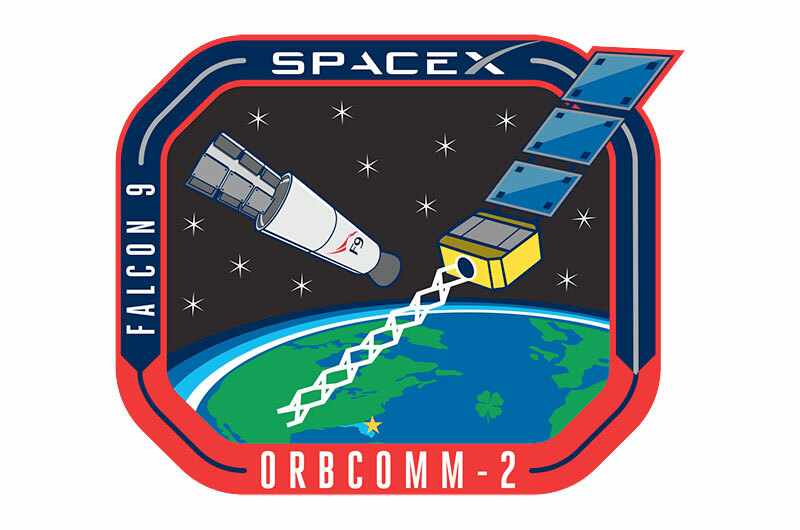 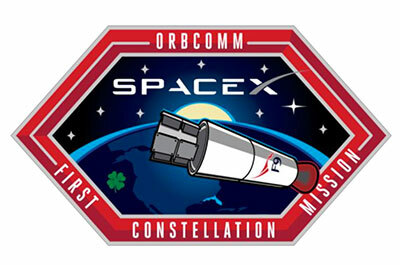 Here is SpaceX's insignia for its Falcon 9 launch of the ORBCOMM Generation 2 (OG2) Mission 1, set to liftoff from Cape Canaveral Air Force Station. 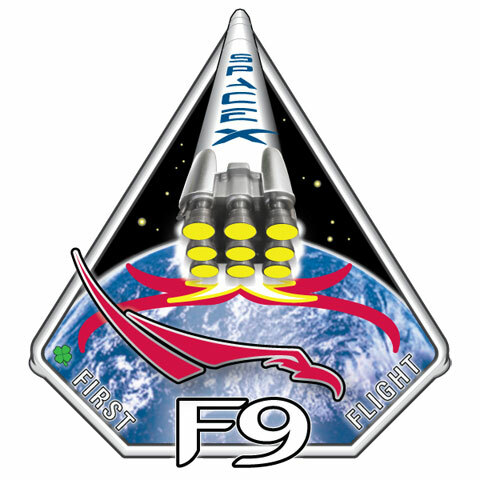 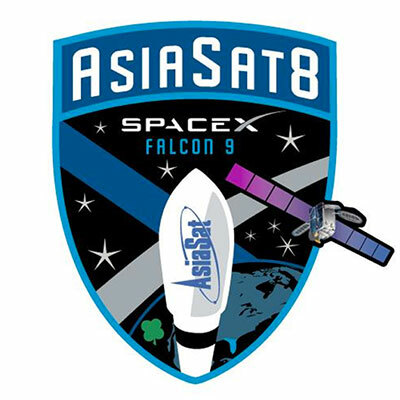 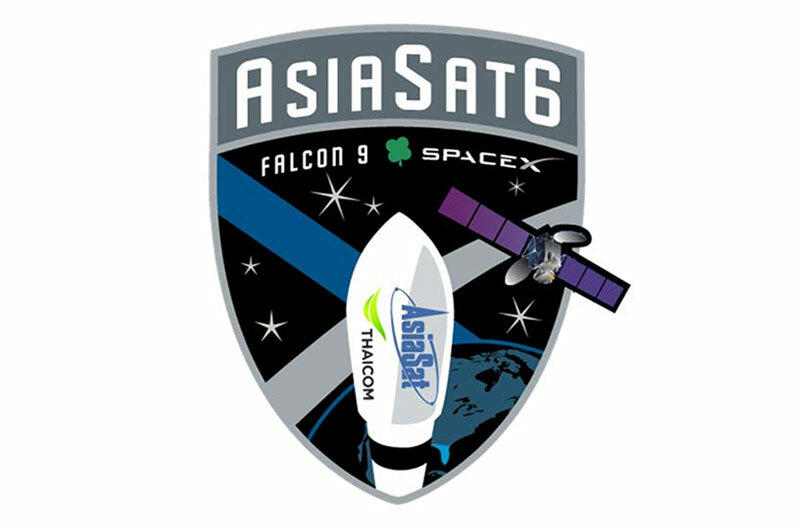 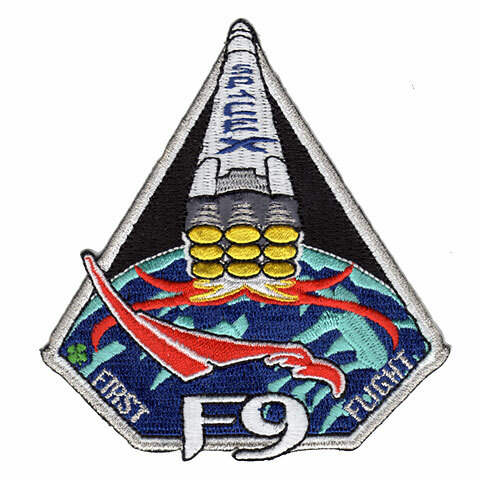 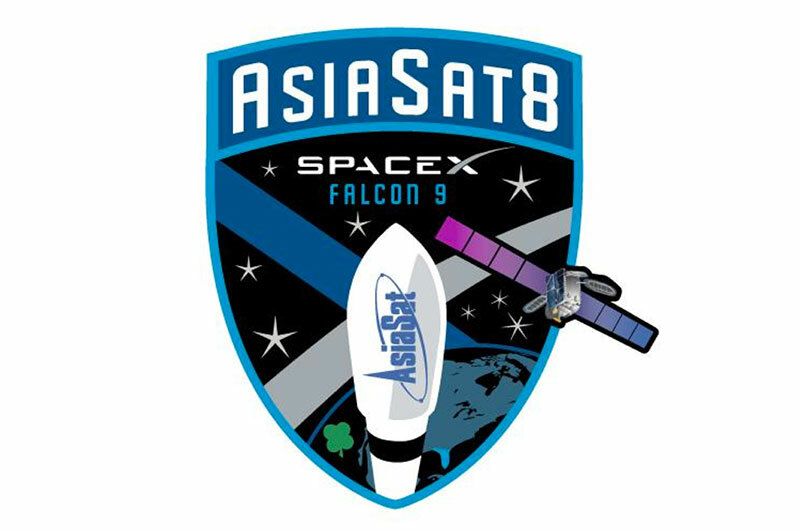 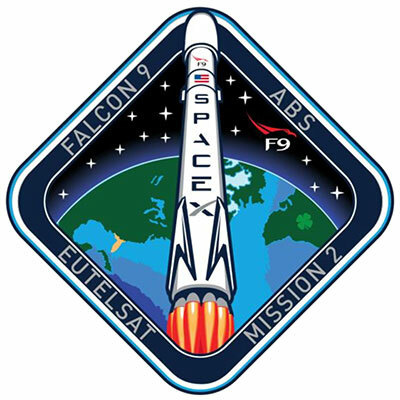 Here is SpaceX's insignia for its Falcon 9 launch of the AsiaSat 8 mission, set to liftoff from Cape Canaveral Air Force Station. 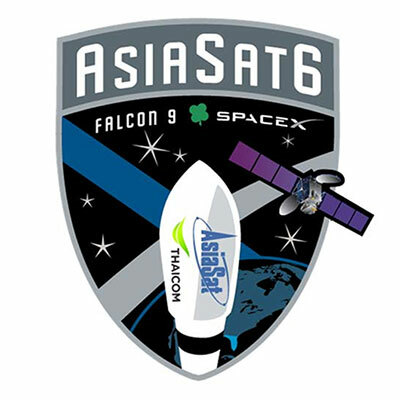 Here is SpaceX's insignia for its Falcon 9 launch of the AsiaSat 6 mission, set to liftoff from Cape Canaveral Air Force Station. 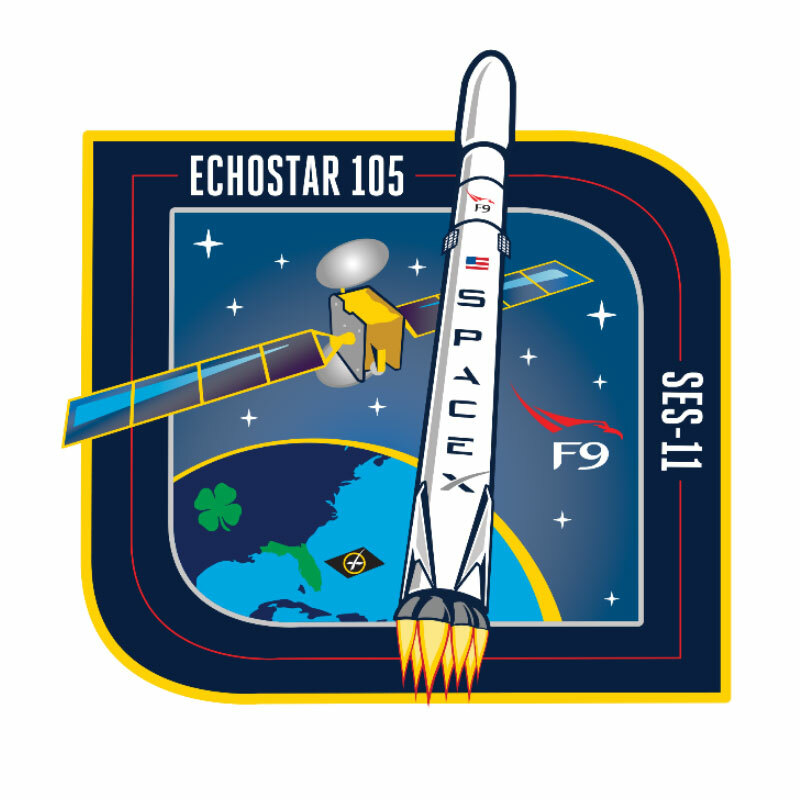 Here is SpaceX's insignia for its Falcon 9 launch of Eutelsat 115 West B and ABS 3A, set to liftoff from Cape Canaveral Air Force Station. Here is SpaceX's insignia for its Falcon 9 launch of a Thales Alenia Space satellite for Turkmenistan, set to liftoff from Cape Canaveral Air Force Station. 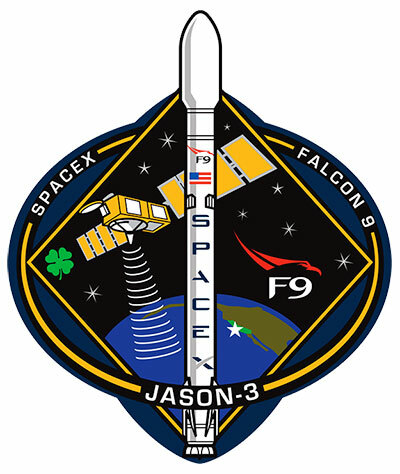 Here is SpaceX's insignia for its Falcon 9 launch of NOAA's Jason 3 satellite, set to liftoff from Vandenberg Air Force Base in California (via Reddit). 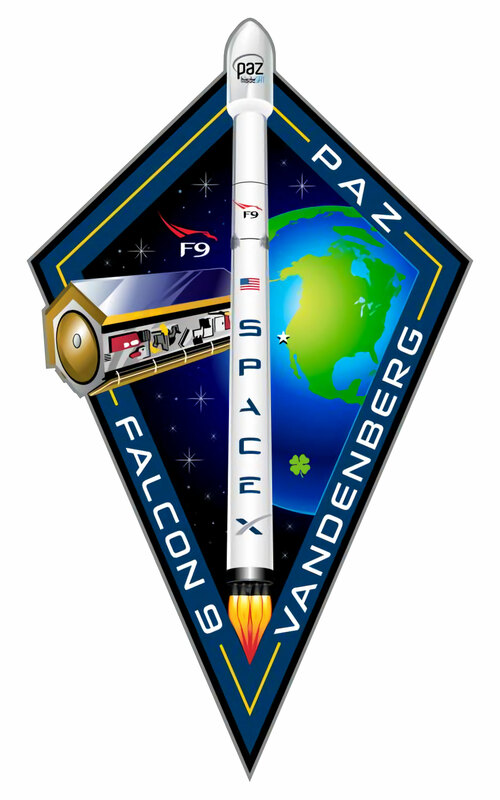 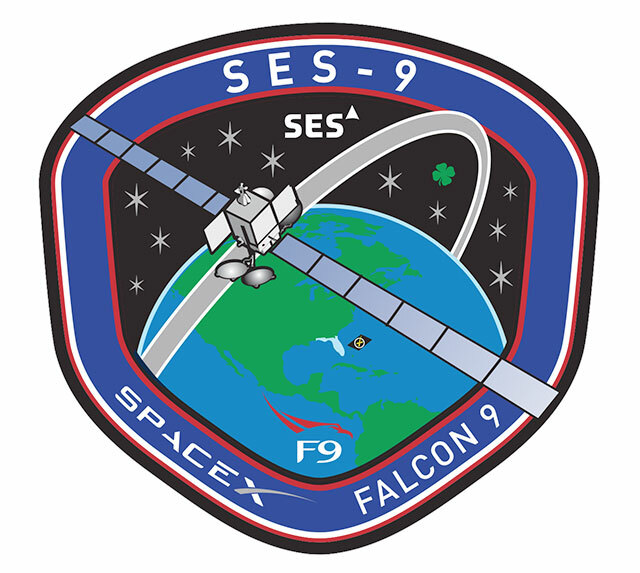 Here is SpaceX's insignia for its Falcon 9 launch of the SES-9 satellite, set to liftoff from Cape Canaveral Air Force Station in Florida. Here is SpaceX's insignia for its Falcon 9 launch of the JCSAT-14 communications satellite, set to liftoff from Cape Canaveral Air Force Station in Florida. 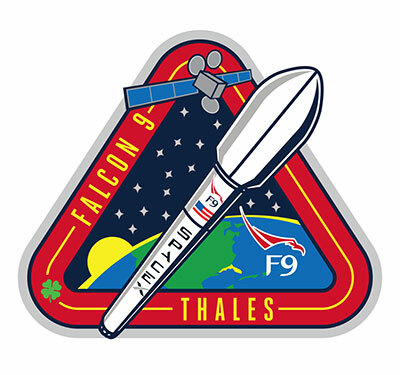 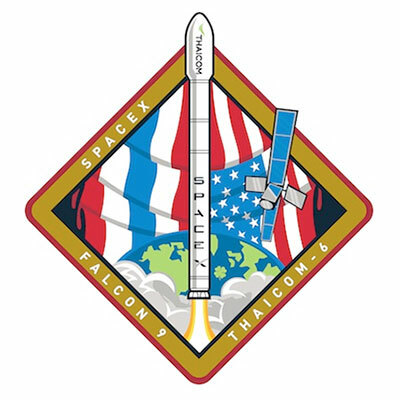 Here is SpaceX's insignia for its Falcon 9 launch of the Thaicom 8 communications satellite, set to liftoff from Cape Canaveral Air Force Station in Florida. 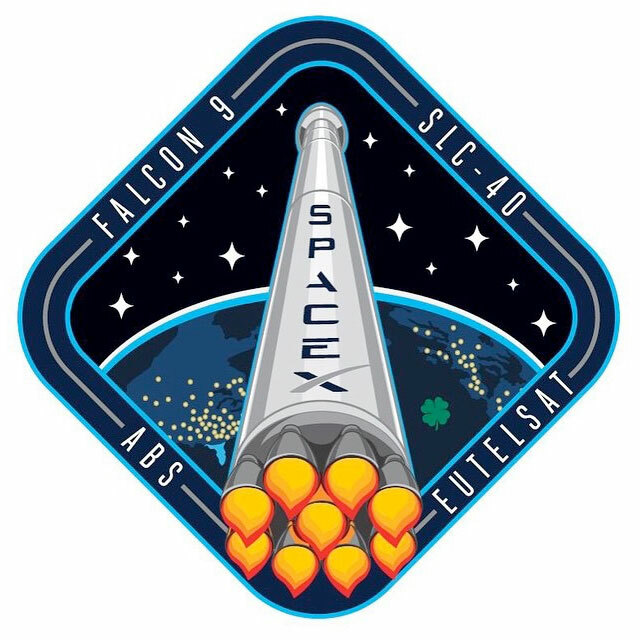 Here is SpaceX's insignia for its Falcon 9 launch of the EUTELSAT 117 West B and ABS-2A communications satellites, set to liftoff from Cape Canaveral Air Force Station in Florida. 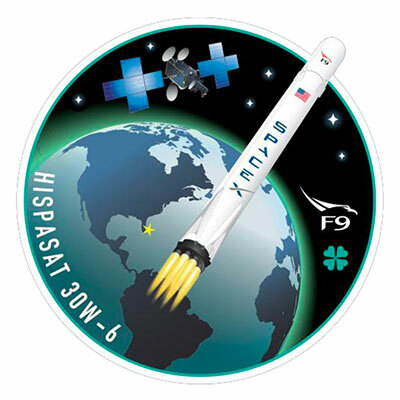 For those interested the Cape Canaveral Air Force Museum's gift shop now has the patch for last week's Eutelsat and all the other recent SpaceX mission patches. 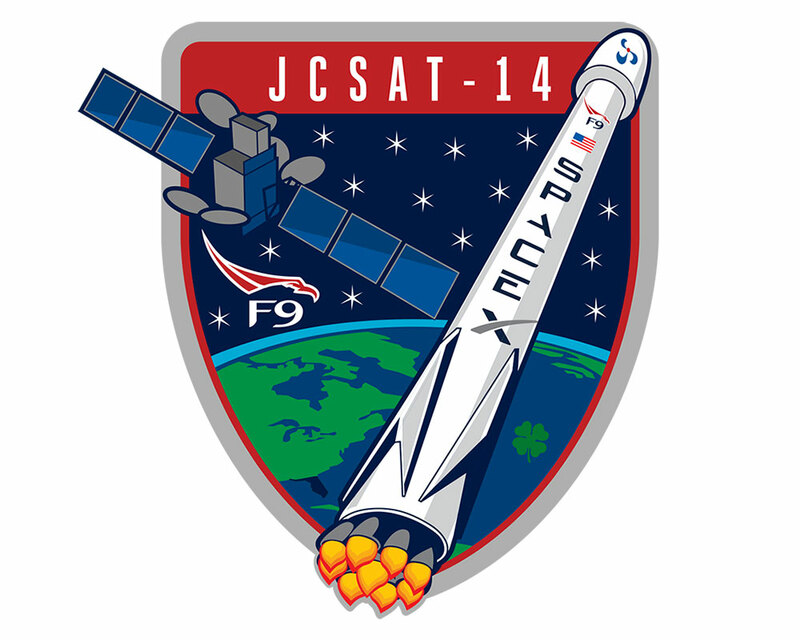 Here is SpaceX's insignia for its Falcon 9 launch of the JCSAT-16 communications satellite, set to liftoff from Cape Canaveral Air Force Station in Florida. Here is SpaceX's insignia for its Falcon 9 launch of the Iridium-1, the first 10 satellites for Iridium's upgraded voice and data relay network, set to liftoff from Vandenberg Air Force Base in California. 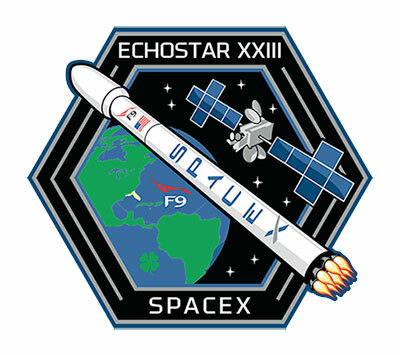 Here is SpaceX's insignia for its Falcon 9 launch of the EchoStar 23 television broadcast satellite, set to lift off from the Kennedy Space Center in Florida. Here is SpaceX's insignia for its Falcon 9 launch of the SES-10 telecom satellite, set to lift off from the Kennedy Space Center in Florida. 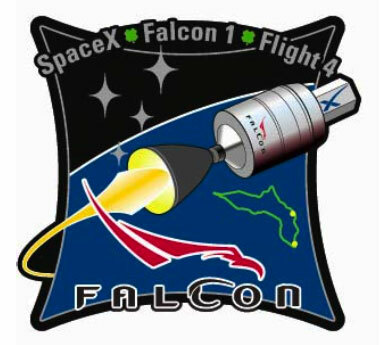 This launch marks the first reuse of a Falcon 9 first stage. Artwork via Everyday Astronaut on Twitter. 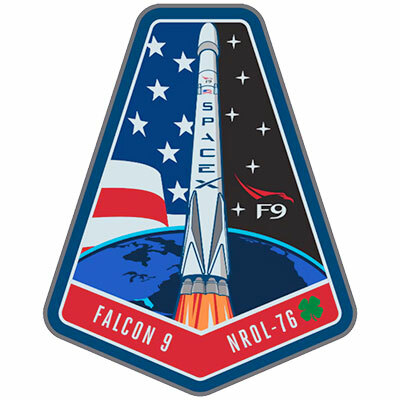 Here is SpaceX's insignia for its Falcon 9 launch of NROL-76 for the National Reconnaissance Office (NRO), set to lift off from Kennedy Space Center in Florida. 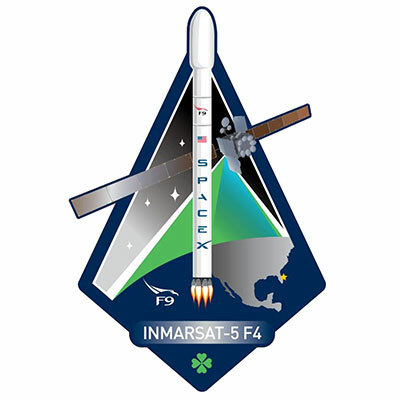 SpaceX's insignia for its Falcon 9 launch of Inmarsat-5 F4, the fourth satellite in the Global Xpress (GX) constellation, set to lift off from Kennedy Space Center, Florida. 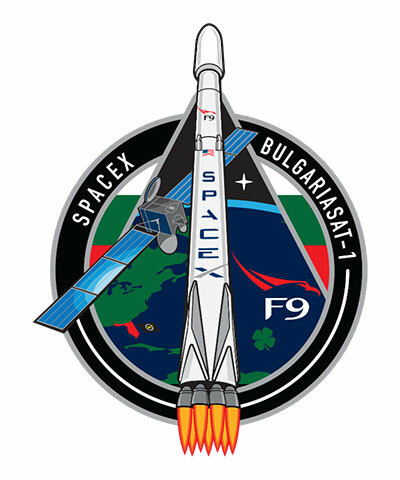 SpaceX's insignia for its Falcon 9 launch of BulgariaSat-1, the first geostationary communications satellite in Bulgaria's history, set to lift off from Kennedy Space Center in Florida. 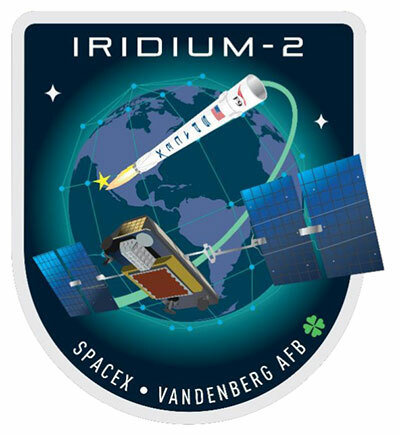 Here is SpaceX's insignia for its Falcon 9 launch of the Iridium-2, the second 10 satellites for Iridium's upgraded voice and data relay network, set to liftoff from Vandenberg Air Force Base in California. 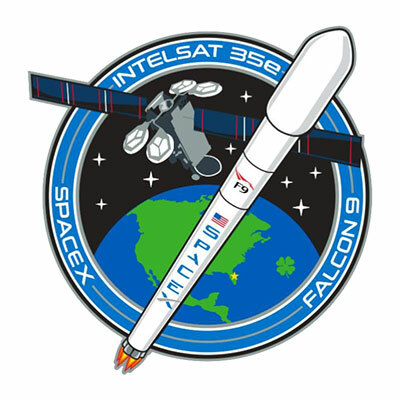 SpaceX's insignia for its Falcon 9 launch of Intelsat 35e, the fourth of the Intelsat Epic communications satellites, set to lift off from Kennedy Space Center in Florida. 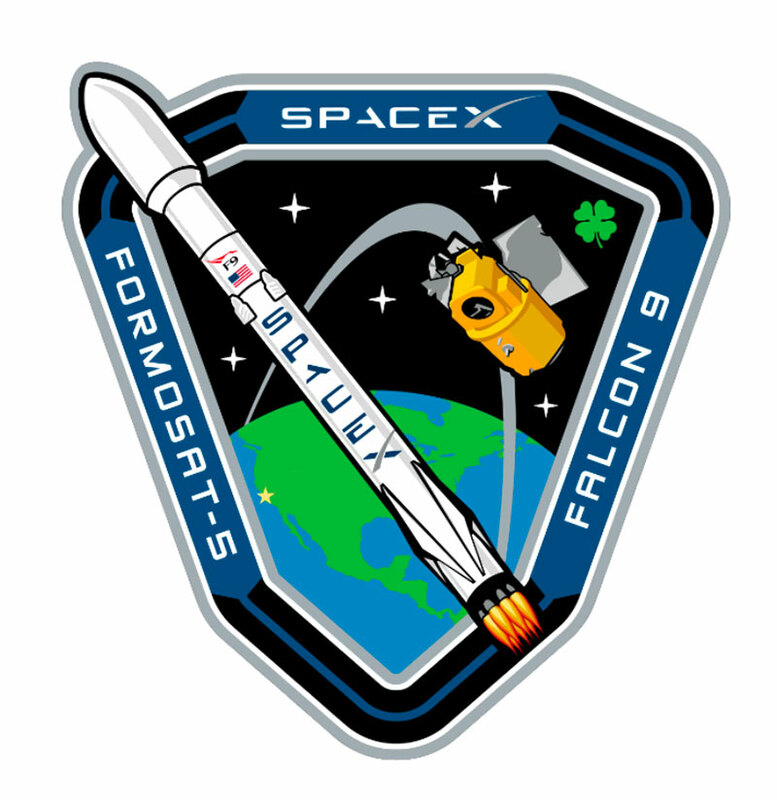 SpaceX's insignia for its Falcon 9 launch of FORMOSAT-5, an Earth observation satellite for Taiwan's National Space Organization (NSPO), set to lift off from Vandenberg Air Force Base in California. 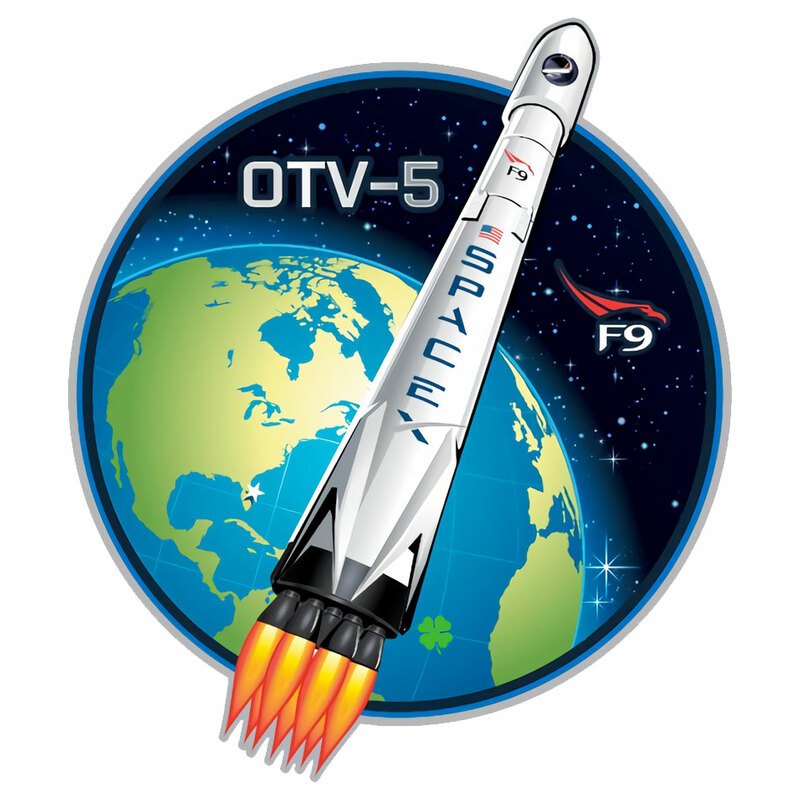 SpaceX's insignia for its Falcon 9 launch of OTV-5, the fifth flight of the U.S. Air Force's X-37B space plane, from Kennedy Space Center in Florida. 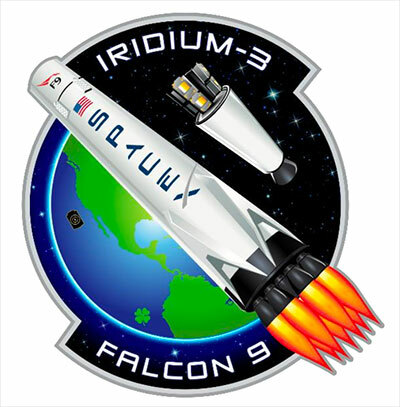 SpaceX's insignia for its Falcon 9 launch of Iridium-3, the third set of 10 satellites for Iridium's upgraded voice and data relay network, set to lift off from Vandenberg Air Force Base in California. SpaceX's insignia for its Falcon 9 launch of EchoStar 105/SES-11, a commercial communications satellite, set to lift off from Kennedy Space Center in Florida. 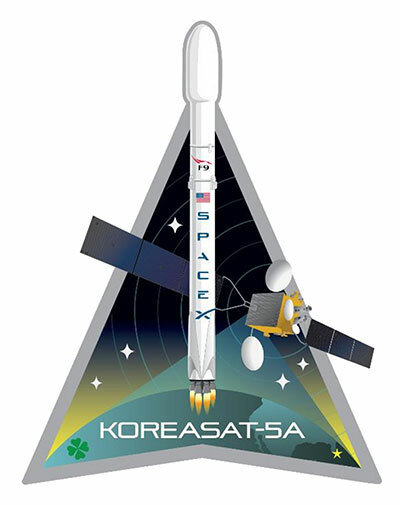 SpaceX's insignia for its Falcon 9 launch of Koreasat-5A, a commercial communications satellite, set to lift off from Kennedy Space Center in Florida. 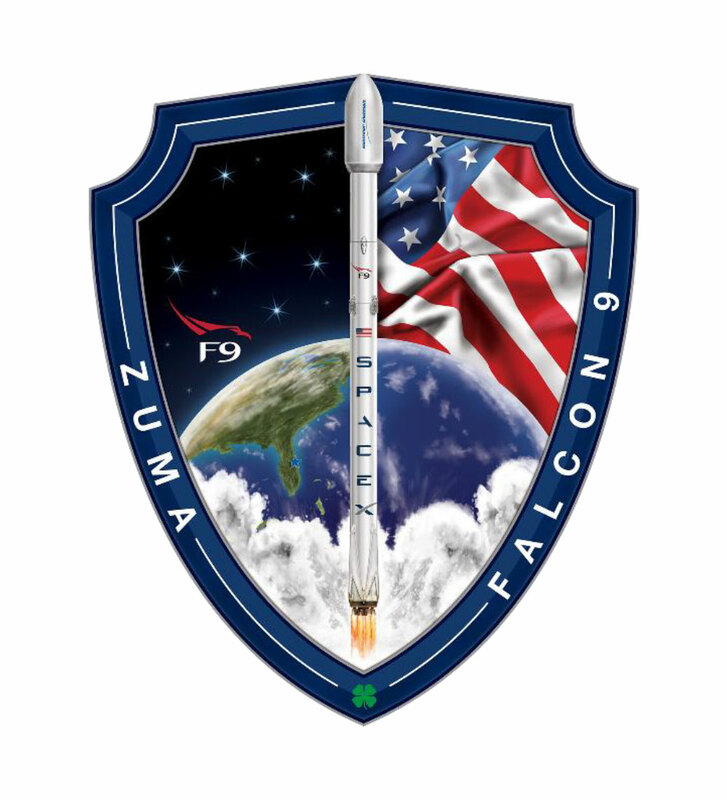 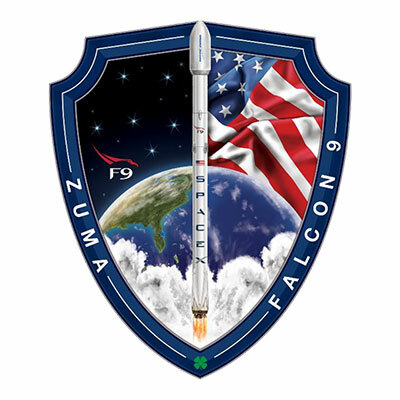 SpaceX's insignia for its Falcon 9 launch of the Zuma spacecraft set to lift off from Cape Canaveral Air Force Station in Florida. 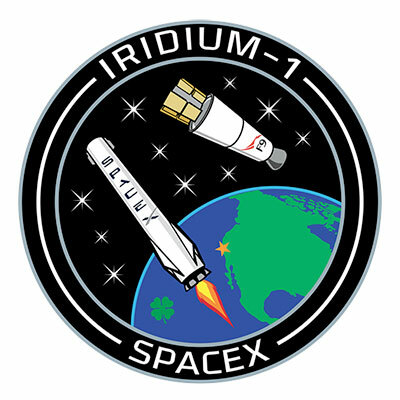 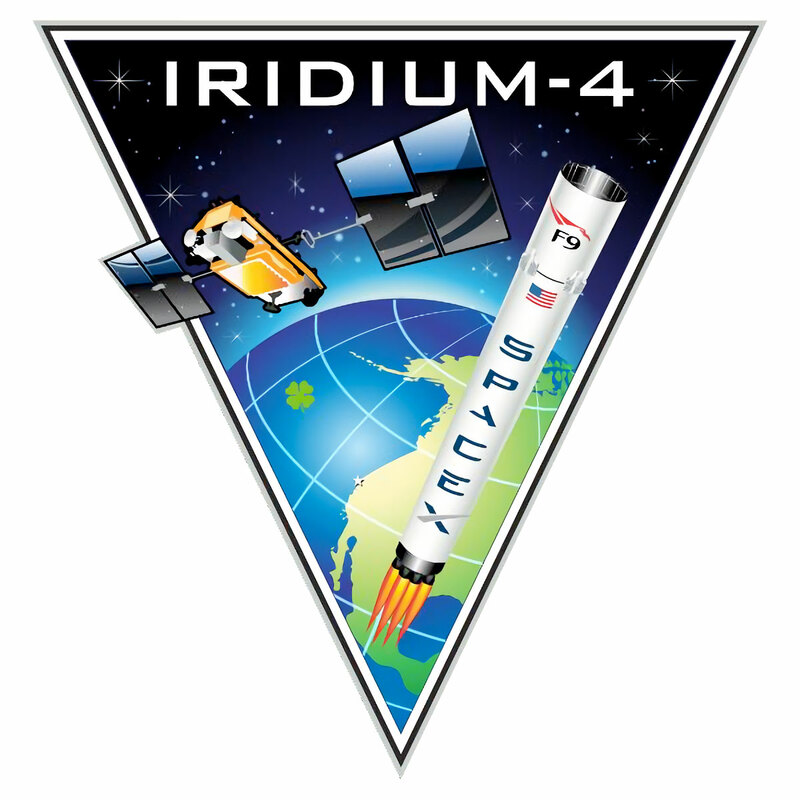 SpaceX's insignia for its Falcon 9 launch of Iridium-4, the fourth set of 10 satellites for Iridium's upgraded voice and data relay network, set to lift off from Vandenberg Air Force Base in California. 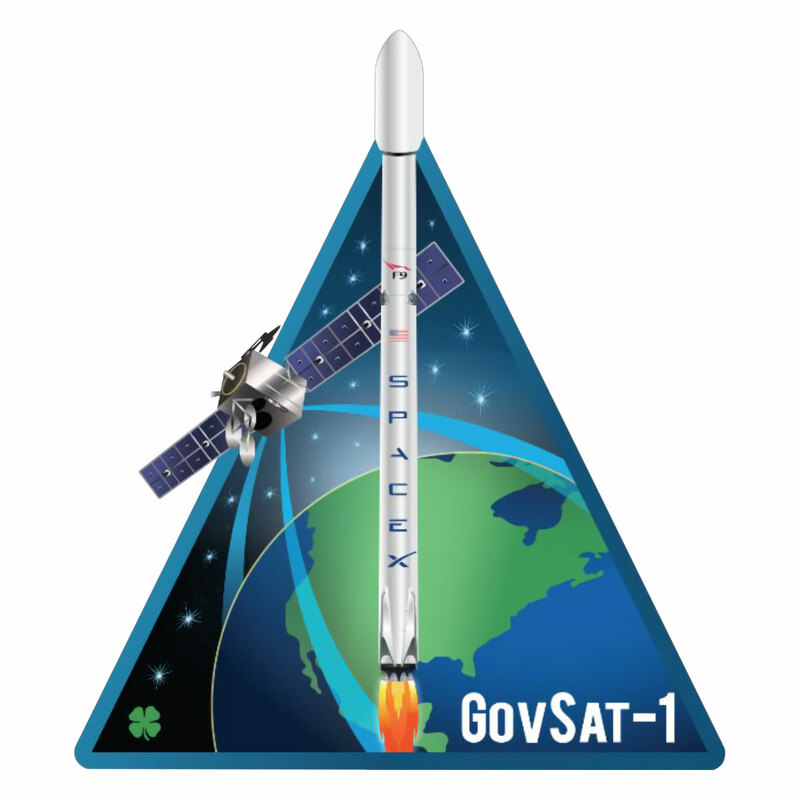 SpaceX's insignia for its Falcon 9 launch of GovSat-1, the first satellite of a public- private partnership between the Government of Luxembourg and the satellite operator SES, set to lift off from Cape Canaveral Air Force Station in Florida. SpaceX's insignia for its Falcon 9 launch of Hisdesat's PAZ satellite set to lift off from Vandenberg Air Force Base in California. SpaceX's insignia for its Falcon 9 launch of the Hispasat 30W-6 satellite set to lift off from the Cape Canaveral Air Force Station in Florida. 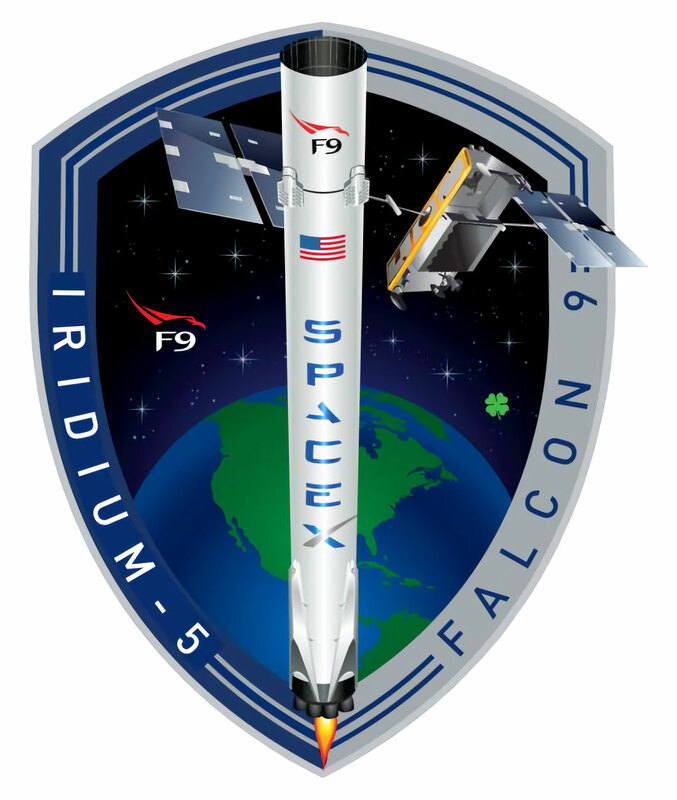 SpaceX's insignia for its Falcon 9 launch of Iridium-5, the fifth set of 10 satellites for Iridium's upgraded voice and data relay network, set to lift off from Vandenberg Air Force Base in California.